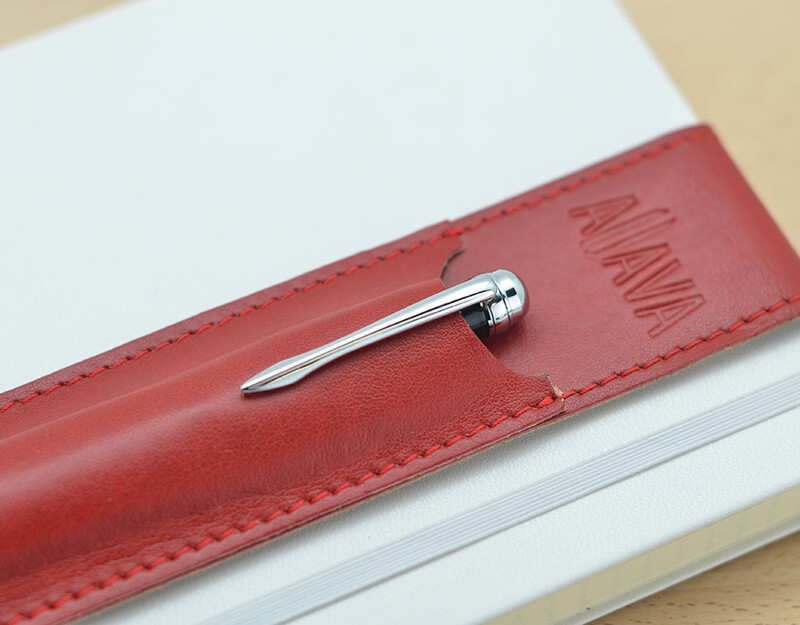 The Aljava pen holder is appropriate for DIN notebooks and many tablet covers. 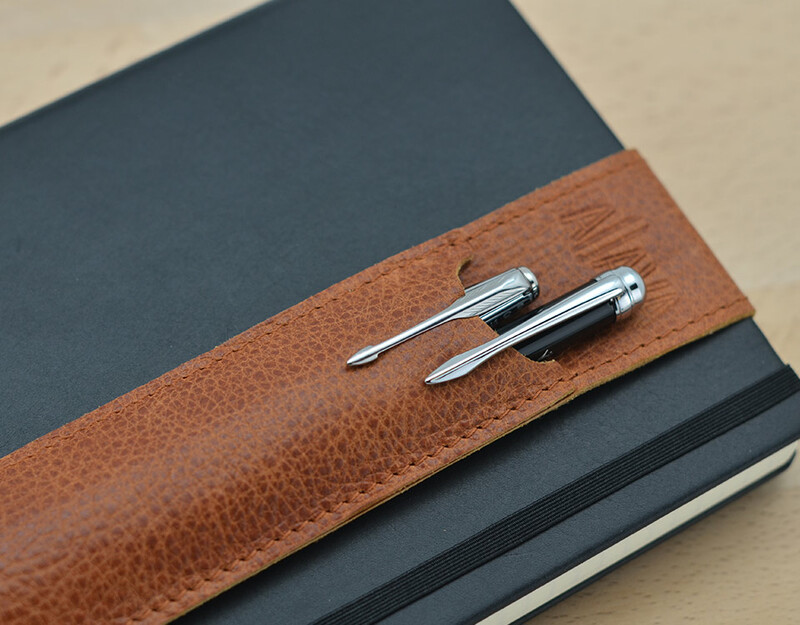 Can be used with products from Moleskin, Leuchtturm, Apple and Samsung. Be ready to take notes at any time! The designer pen holder is available in different colours, patterns and materials. You can choose from real and artificial leather. Nylon and truck awning canvas to follow in the coming months. Our pen holders are made by hand on small machines. 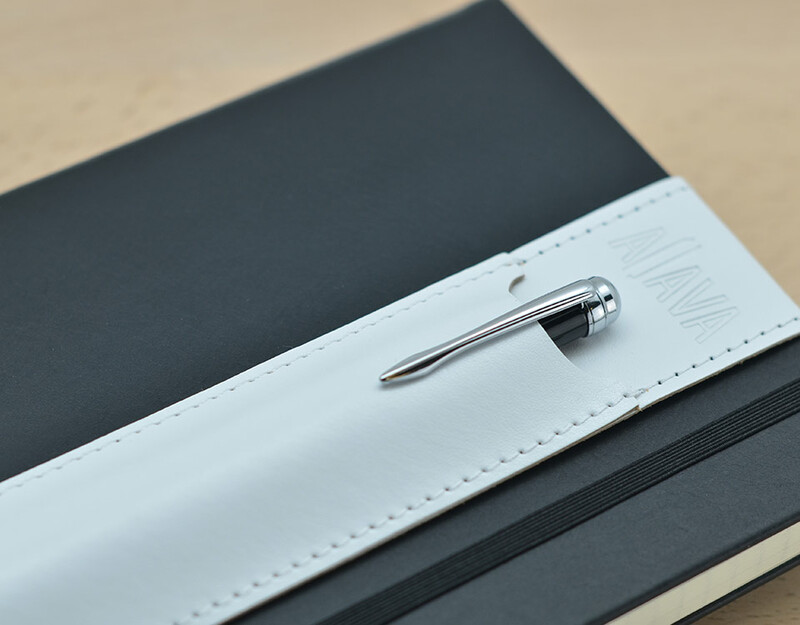 Handmade in Germany: the pen holders are formed, stamped and produced for you by a workshop in Frankfurt am Main. Would you like to add "Aljava" to your assortment or do you have any other questions? The team from skors Product & Marketing Solutions look forward to receiving your call or e-mail. Would you like to use "Aljava" as a form of advertising or add it to your portfolio, or do you have any other questions? The team from skors Product & Marketing Solutions look forward to receiving your call or e-mail. Do you have any questions about our product "Aljava"? The team from skors Product & Marketing Solutions look forward to receiving your call or e-mail. 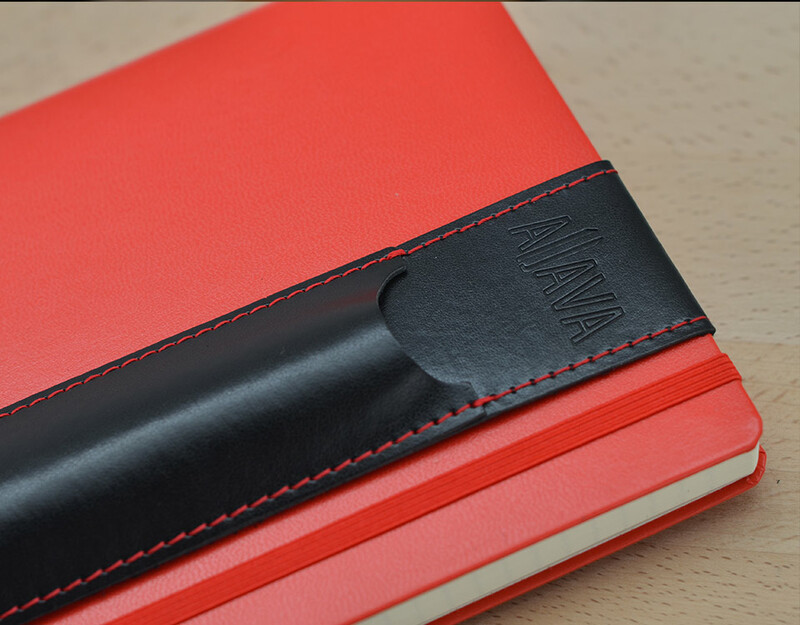 We would also be happy to provide you with press texts and images of the product "Aljava". Our team is working continuously on new design ideas.